The RSI provides a relative evaluation of the strength of a security’s recent price performance, thus making it a momentum indicator. 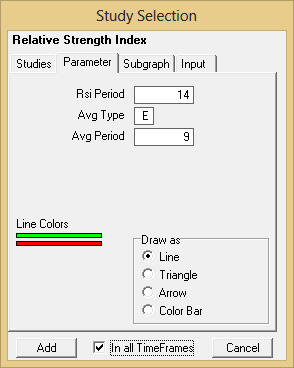 RSI values range from 0 to 100. 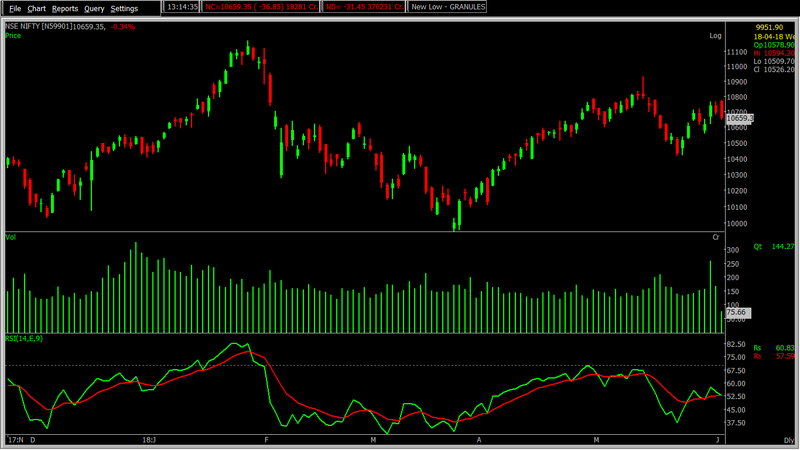 Usually, the RSI is considered overbought when above 70 and oversold when below 30. These traditional levels can also be adjusted if necessary to better fit the security. RSI also often forms chart patterns that may not show on the underlying price chart, such as double tops and bottoms. In an uptrend or bull market, the RSI tends to remain in the 40 to 90 range with the 40-50 zone acting as support. During a downtrend or bear market, the RSI tends to stay between the 10 to 60 ranges with the 50-60 zone acting as resistance. The RSI is a fairly simple formula but is difficult to explain without pages of examples. How to Calculate RSI in IRIS PLUS? RSI also often forms chart patterns that may not show on the underlying price chart, such as double tops and bottoms. In an uptrend or bull market, the RSI tends to remain in the 40 to 90 range with the 40-50 zone acting as support. Similarly, during a downtrend or bear market, the RSI tends to stay between the 10 to 60 ranges with the 50-60 zone acting as resistance. Buy and sell signals can also be generated by looking for positive and negative divergences between the RSI and the underlying stock. Next PostNext Interim Budget 2019-20 Key HIGHLIGHTS!